The Collectivator Upgrade is Here! The Collectivator upgrade is here! It’s finally here! After nearly a year of discussions, plans, timelines, testing, feedback, bug fixing, and giant leaps of faith, we are finally here. None of this would have been possible without a Toronto based company called Qaribou, and the amazing talents of developer Joshua Koudys. I am so excited about this new chapter in our enterprise. We rebuilt Collectivator from the ground up, and I can honestly say it has been one of the most challenging and rewarding projects of my working life. 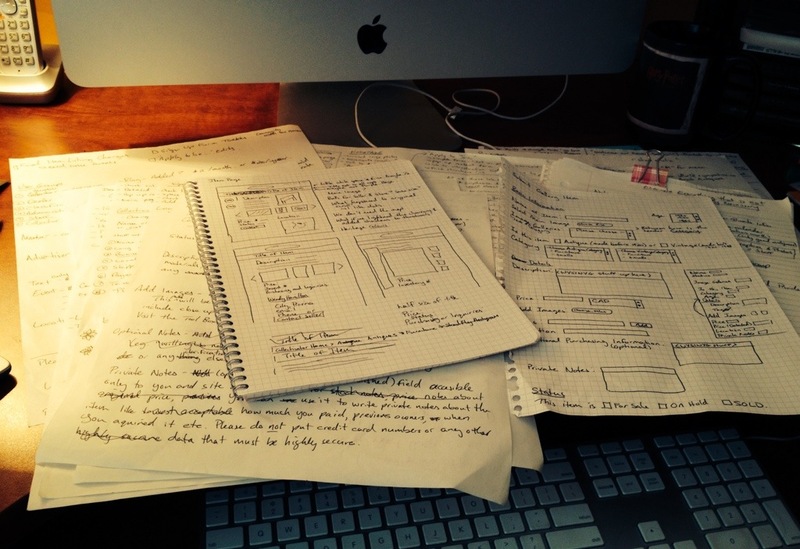 So what’s the big deal about a website redesign? Everything. Literally everything. We completely changed not only the design, but the back-end CMS (content management system) that supports all the new functions. Josh wrote code for new interfaces, new posting procedure, new search… there was basically no part of Collectivator we didn’t take apart and put back together. Designer Denise Pinto made us look oh so cool with a bright, coherent theme that expertly showcases the items. One huge improvement is our touch-based mobile support. We finally look good on a tablet! 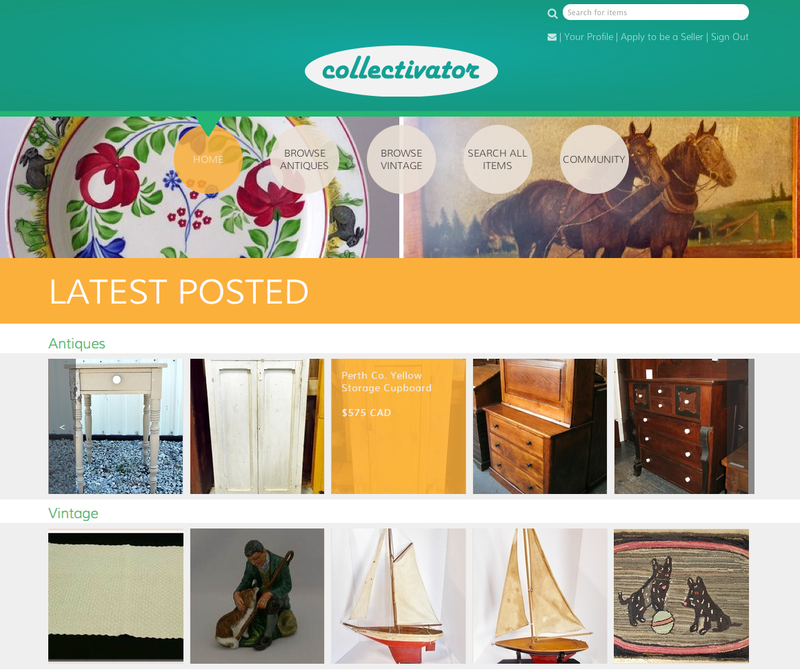 Swiping through thumbnails feels natural, and it definitely makes browsing antiques more fun. Who needs emails when you can write large format, rambling notes? Developers love ’em! Diagrams of possible webpages, notes from feedback, and my own pearls of wisdom like “maybe less white space but still have some?”, “people are circles, items are squares” and “I like dots”. In the end a lot of it was changed, or rejected, but the big vision was realized. Again, I am so grateful for the people who helped get us here. As we begin a new phase at Collectivator, I look back with pride on our original concept and design. Eight years ago my husband Anson Chan originally created the site for my dad, Phillip Ross. The three of us working together honed our system through concept, design and good old trial and error. The bedrock of the site has always been quality stock and it continues to this day. 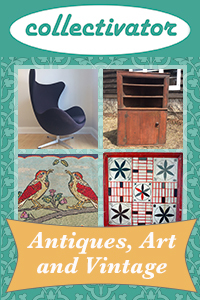 We’ve been able to attract some of the best antique dealers around who are experts in their fields. We’ve had encouragement from established collectors, and random strangers on the street. We’ve been able to grow a professional solution for one antique dealer into a vibrant selling platform for many. The most important thing I want to say is thank you. Thank you to everyone who visits the site, and everyone who has joined us on our journey to becoming an antiques and vintage destination. That’s Josh in front, Anson and I in the little boxes, and Josh’s cat Sebastian performing a classic photo bomb. 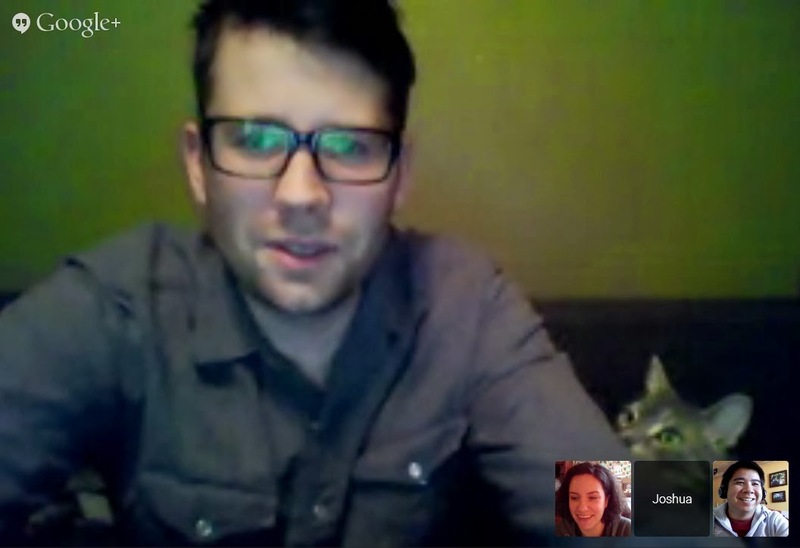 Every meeting should be interrupted by adorable cats. I welcome your comments! Thanks for reading this self-congratulatory post about my business (next time I’ll get back to cool old stuff I promise). Cheers!